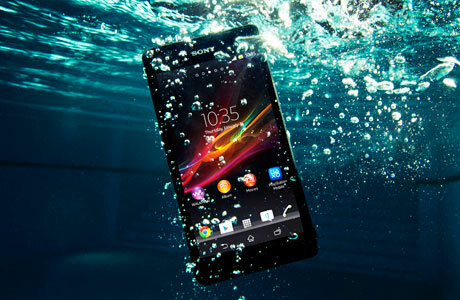 Sony has launched a fully waterproof Android NFC phone that allows photos and HD video to be captured underwater. The Sony Xperia ZR boasts a 4.6-inch 720p HD display, a 13 megapixel camera, Snapdragon S4 Pro quad-core 1.5 GHz processor and 4G LTE. The device’s IP58 rating means that it is dustproof and can be submerged in fresh water up to 1.5m deep for up to 30 minutes. Music, photos and videos can be shared with other NFC-enabled Sony devices using Sony’s One-touch functionality. “The Xperia ZR pushes the boundaries on where and how consumers can use the full potential of their smartphone. By combining Sony’s leading camera technology with the highest level of water resistance, you will never miss another moment.” says Calum MacDougall, director of Xperia marketing at Sony Mobile. The Xperia ZR will be available from Q2 2013, in black, white, pink and mint.